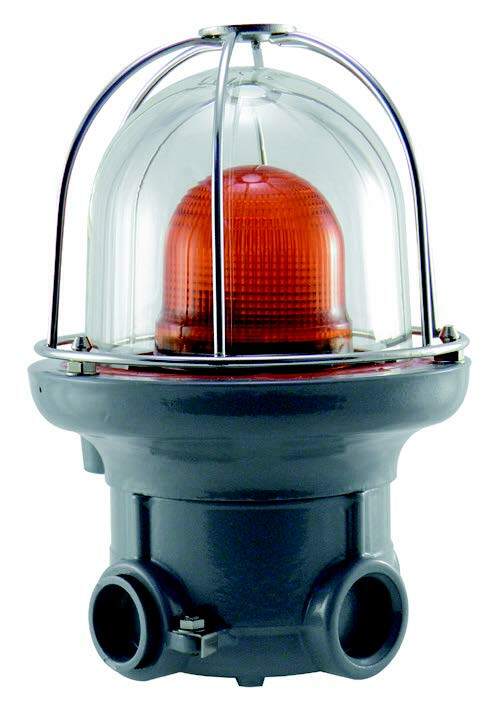 Springer Controls explosion proof single color dome lights are ideal for visual signals in hazardous environments. Housings are made of an aluminum alloy with a borosilicate glass dome, and optional stainless steel guard. Available in 24VDC, 115VAC, or 230VAC input power, they can be programmed via a jumper for flashing or steady on. 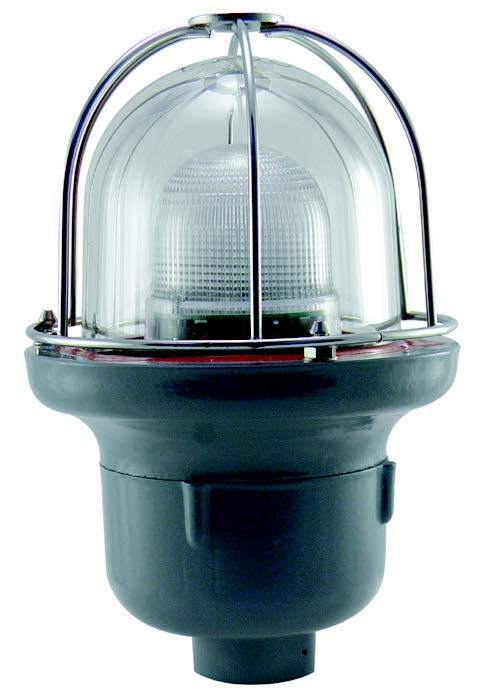 The bright LED provides long life, durability and high visibility.